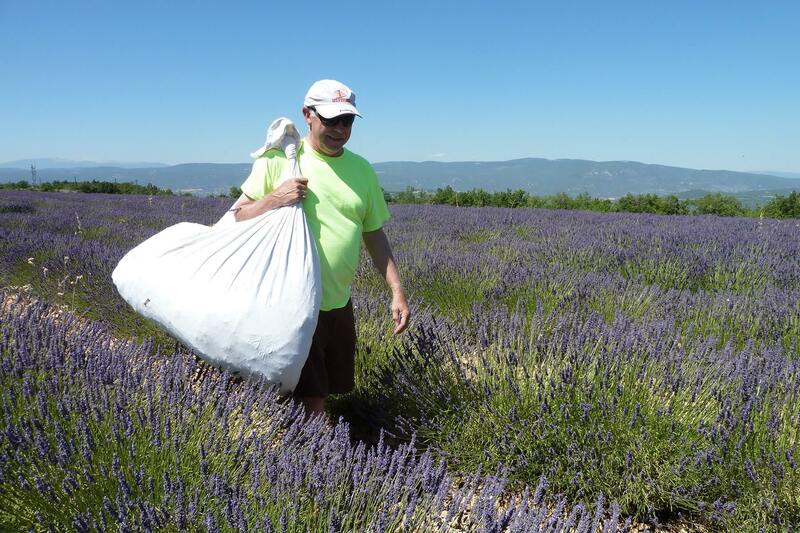 How about a 6-day walking/hiking tour in Provence in the height of lavender season? That was the question my wife, Carolyn, asked me last January. The idea came from a brochure we received from Country Walkers, a company with whom we had done a hiking tour in Glacier and Waterton National Parks a number of years ago and with whom I had done a 10-day Tour de Mount Blanc in 2010. That question led to our 10-day trip to Paris and Provence this July, just prior to the horrific carnage in Nice. We did a 2-day pre-tour add on to Paris to relive our prior three trips there, but none since 1998. Can anyone ever have too much of this great city? Under cloudy, showery skies we walked the Champs d’ Elysees for 2 days to the Tuileries gardens and the Muse D’Orsay, took a 75-minute cruise on the Seine and revisited the fine cuisine of Ille St. Louis behind Notre Dame. After dealing with jet lag, we took a 2.5-hour train south to Avignon for a night before meeting up with our tour. Provence was a different climate. It was in the 90s and humid. Few places were air-conditioned and the hotel A/C systems were pretty inadequate. We visited the famous Pont in Avignon and saw the Palais de Pape, the 14th century home of the Pope. From there it was a couple of days hiking the vast vineyards of Chatenauf de Pape; a weekly village market overflowing with cheese, local produce, handmade goods, and ice cream; and a goat farm that produced fabulous cheese. 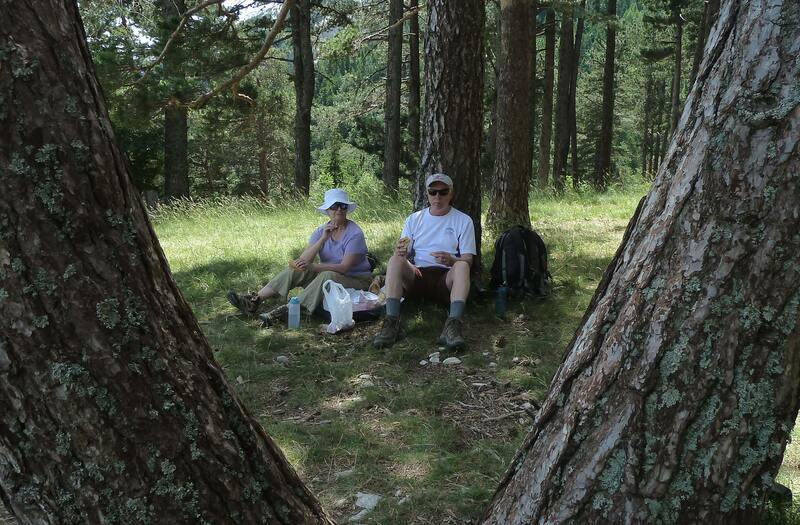 Then it was off to Forcalquier from which we spent 3 days on various hikes through lavender fields in full bloom. One day we were brought to a field where we cut lavender and brought our harvest to a lavender distillery where it was processed into lavender oil that we brought home. We learned the difference between lavender, a native plant, and lavandin, a hybrid that produces deeper color flowers and four time as much lavender oil per plant. Throughout these hikes it was dreadfully hot in the 90s, with plenty of humidity. The hikes ranged from 3 to 6 miles in length. The real value of a trip like this is the guides, and we had great ones. Mariska, 55, and Pierre, 72, were a couple who were former paragliding instructors. They had met 30 years previously on a snowy mountain in the Alps where they were climbing. Mariska grew up Dutch, wrote a couple of books, and was working on a screenplay in between her guiding. Pierre had guided tours throughout Europe and Africa. This was his final tour. 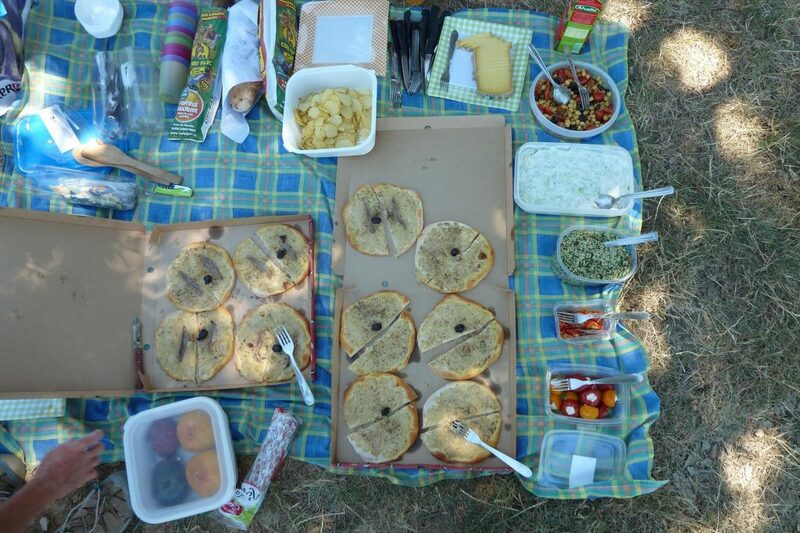 They made homemade food for our picnics on the hikes, imparted local flora and fauna facts, and navigated all the drives and restaurant dinners. My final note is that since I do not like olives, I have never enjoyed tapenade. Well one homemade lunch we had included tapenade that I agreed to taste. Wow! Why did I like it? The chef said it contained anchovies and garlic. Now that is a food highlight, even with all the olives. This was quite the summer excursion.